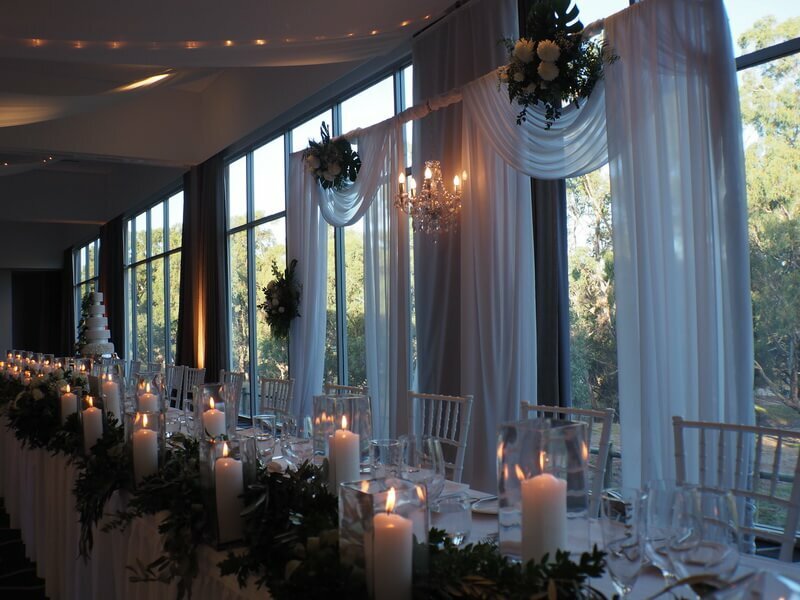 Ashlea & Jarrad said their “I Do’s” in a stunning ceremony location at Mandoon Estate. 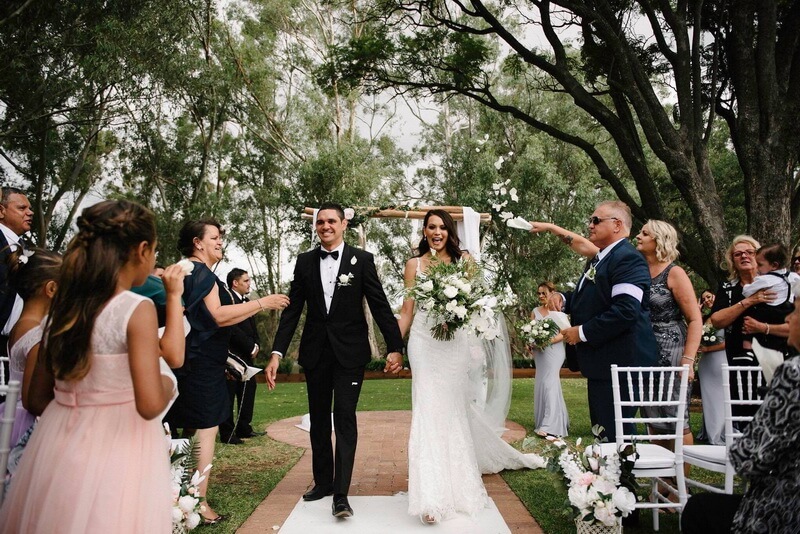 There was so much emotion in the air as Ashlea walked down the aisle to her Uncle, Dr Richard Walley OAM, playing a traditional wedding song on a didgeridoo. 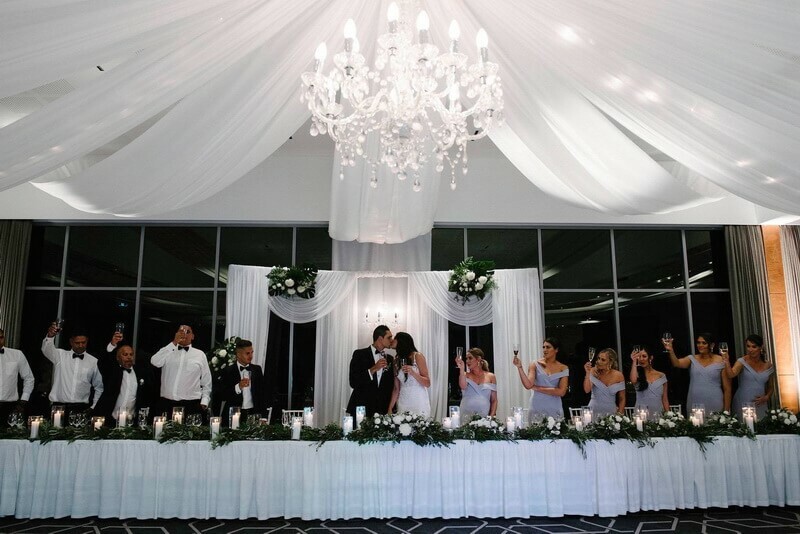 Their beautiful boys Noel & Jakoby were part of the bridal party along with six gorgeous Bridesmaids and six handsome Groomsmen. 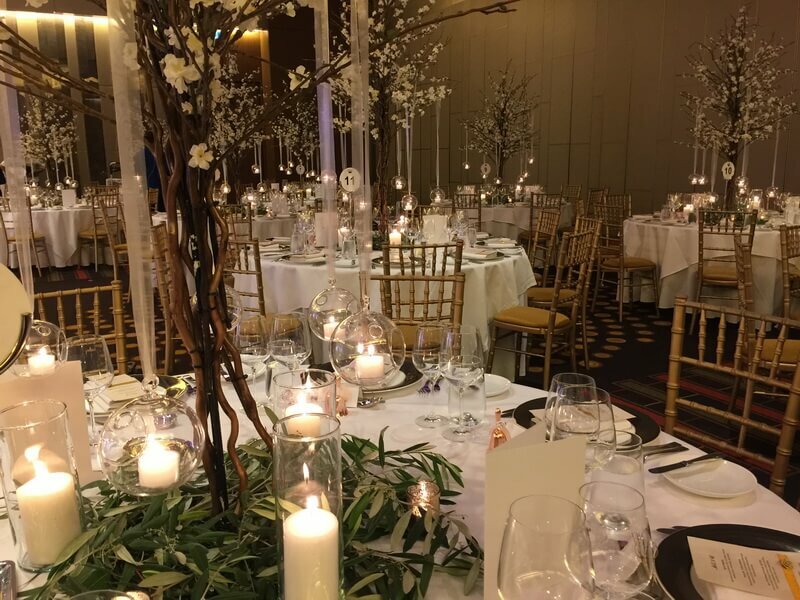 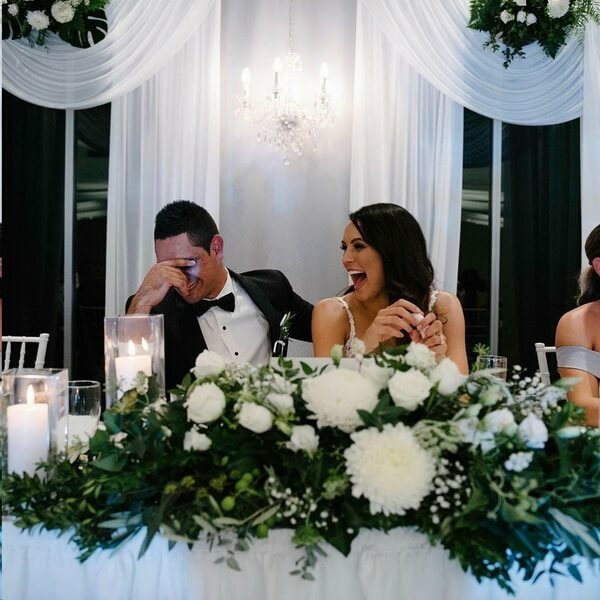 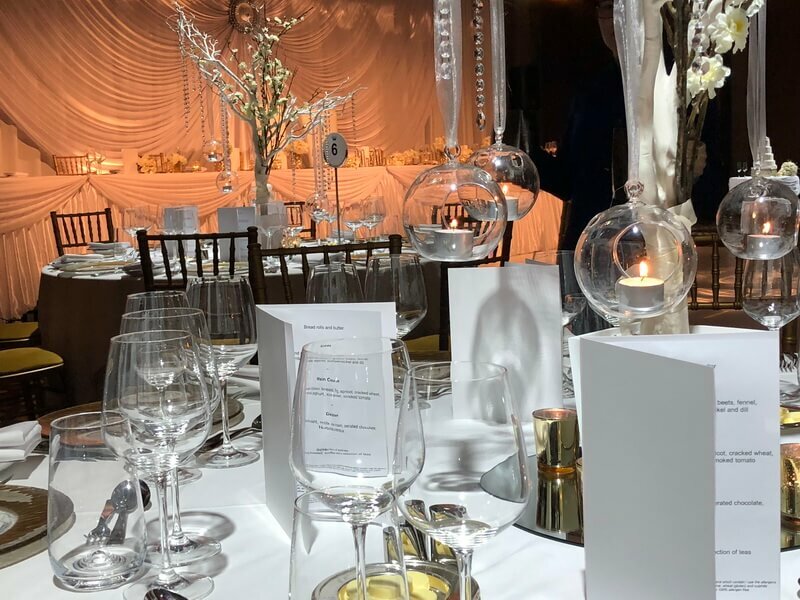 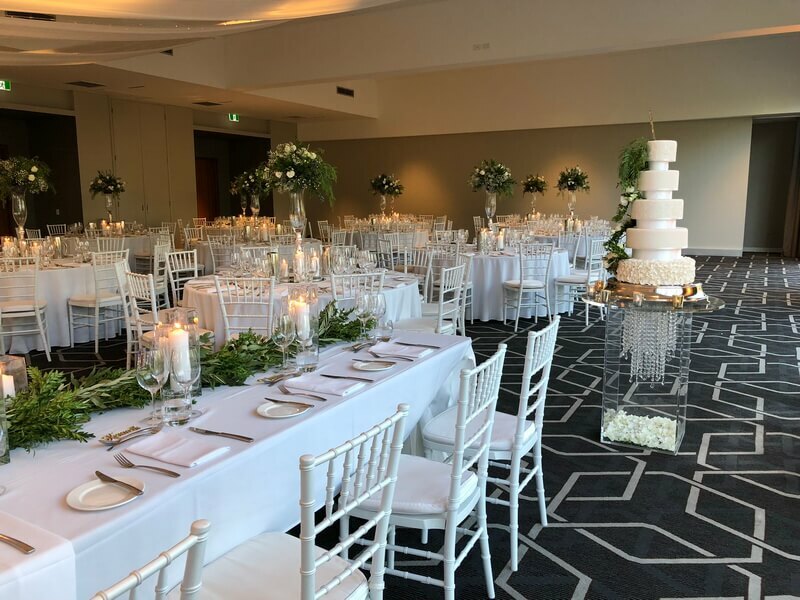 Once the formal part of the day was over the happy couple made their way into the ballroom at Mandoon Estate and celebrated the night away with their guests made up of 250 close family and special friends. 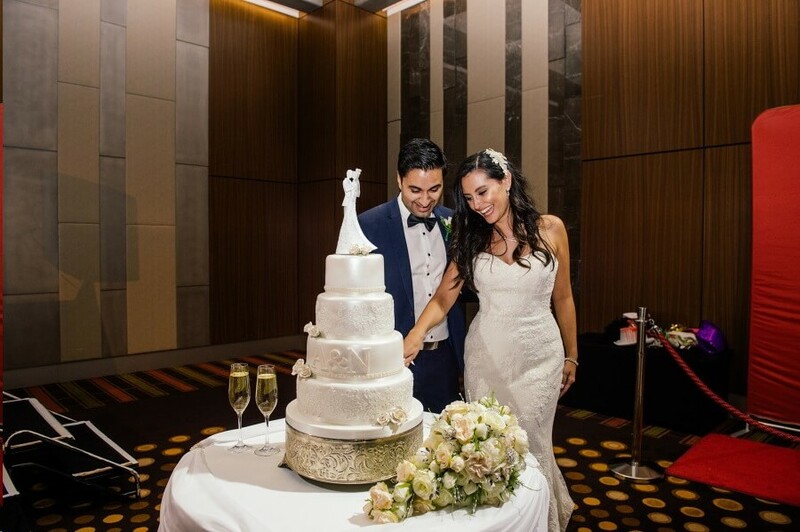 Belinda & Mark married in a traditional church service at St Columba’s Church in South Perth. 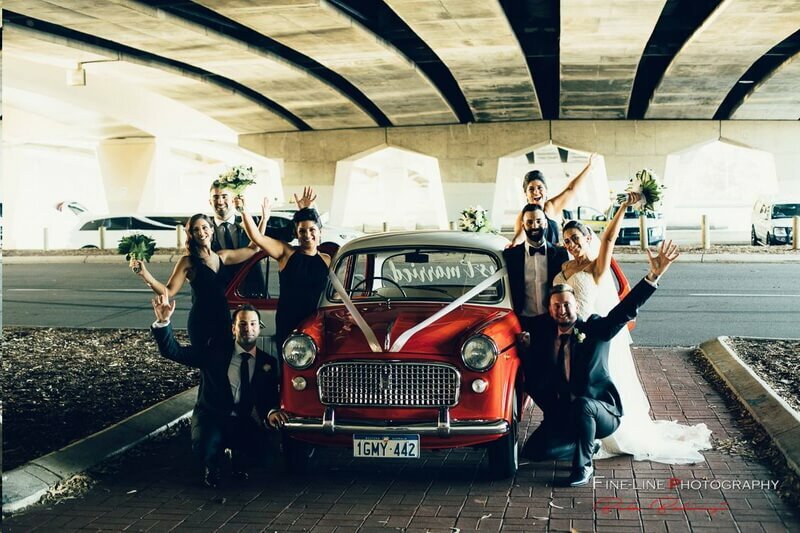 Mark lovingly restored a bright red Fiat 1100 and there was no doubt it was going to make it’s debut at their wedding. 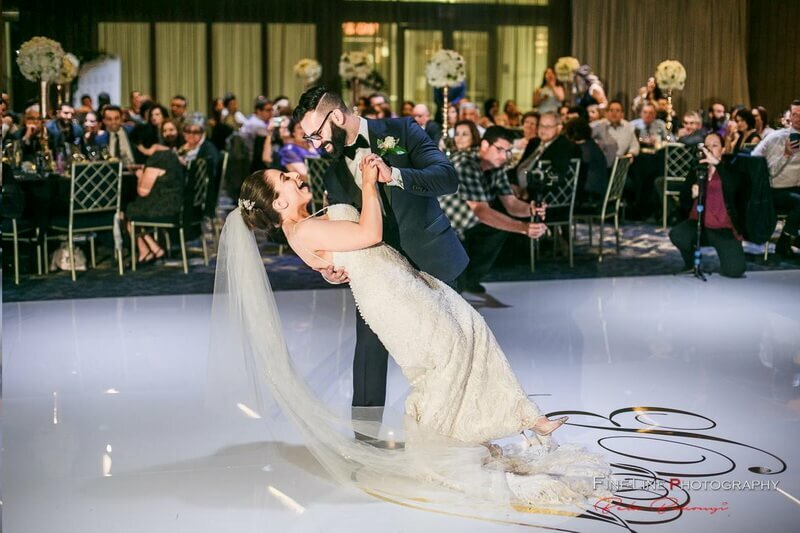 It certainly was a great feature in so may of their photos. 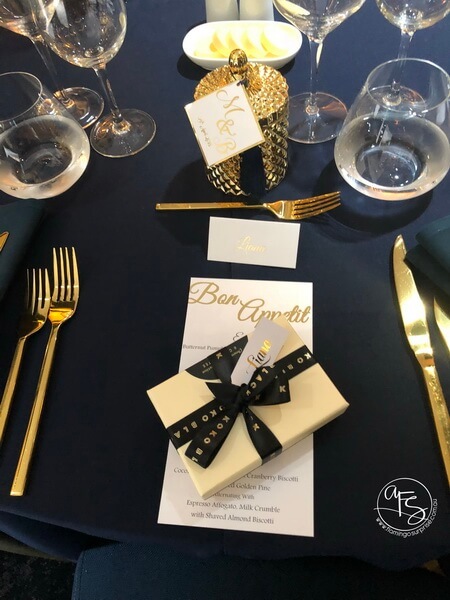 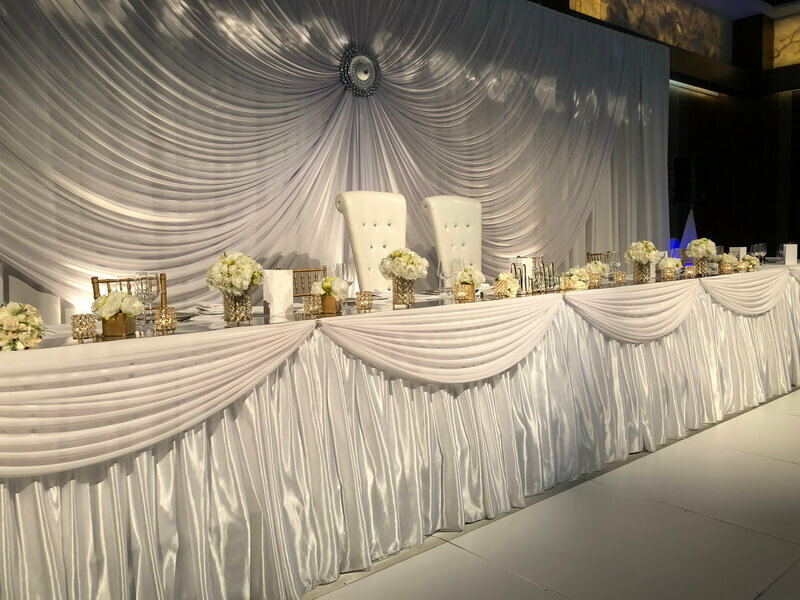 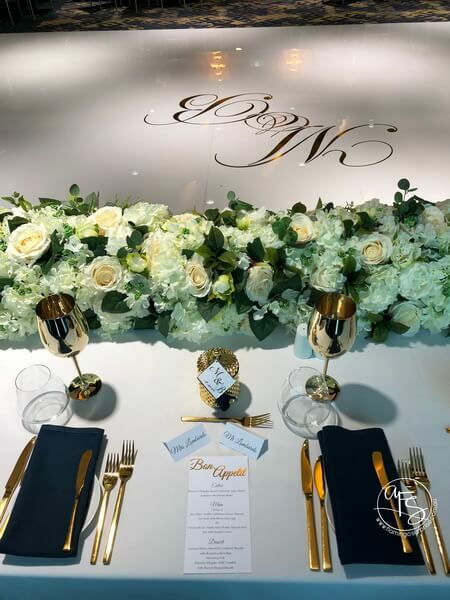 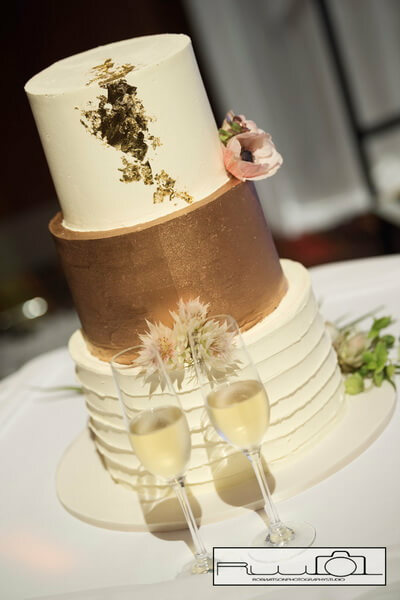 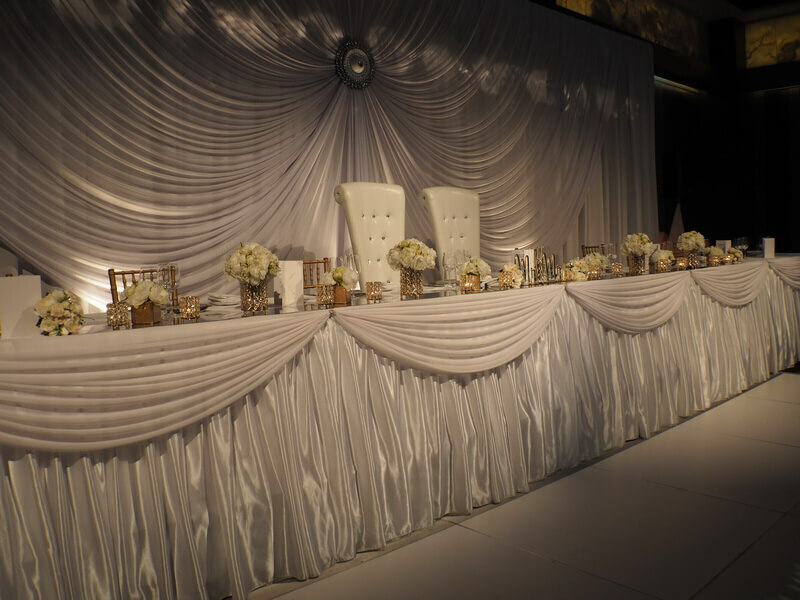 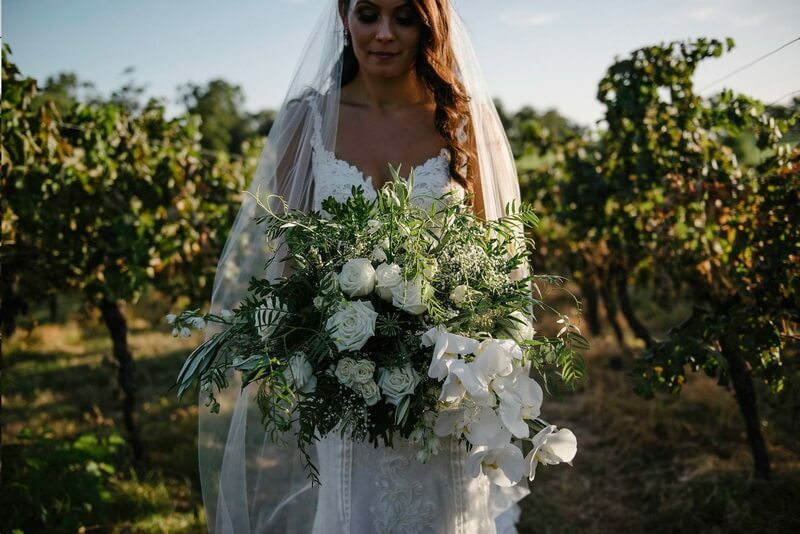 Belinda has an exceptional eye for detail and all of the finishing touches like bomboniere, place cards, gold goblets for the bridal party and special touches on the gift table coordinated beautifully. 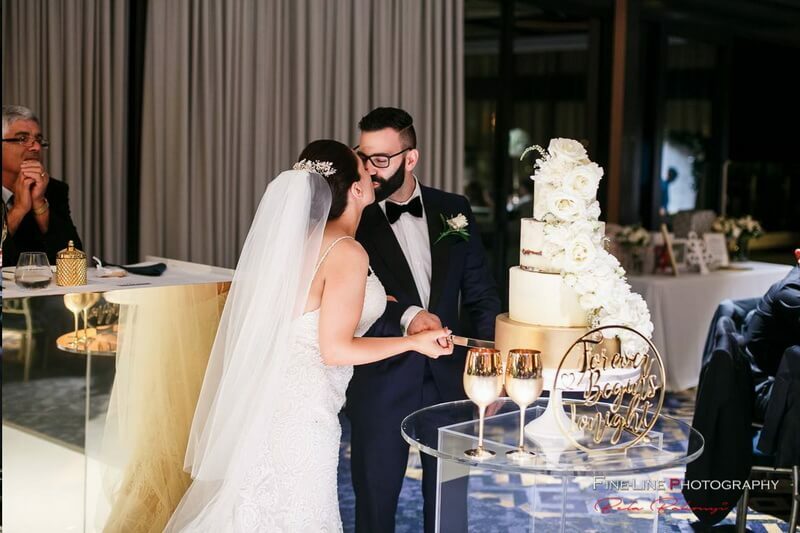 Elyse & Matthew said I DO on the South Perth foreshore of our beautiful Swan River with the City of Perth as their backdrop. 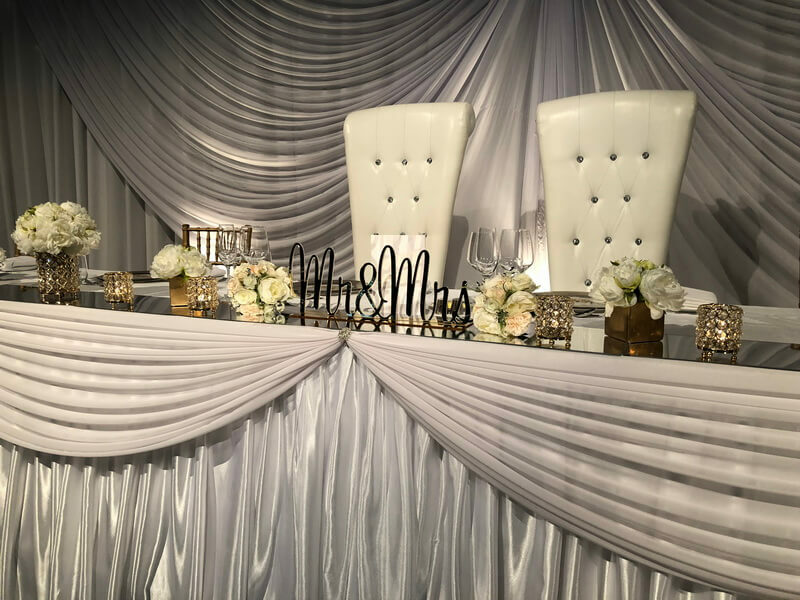 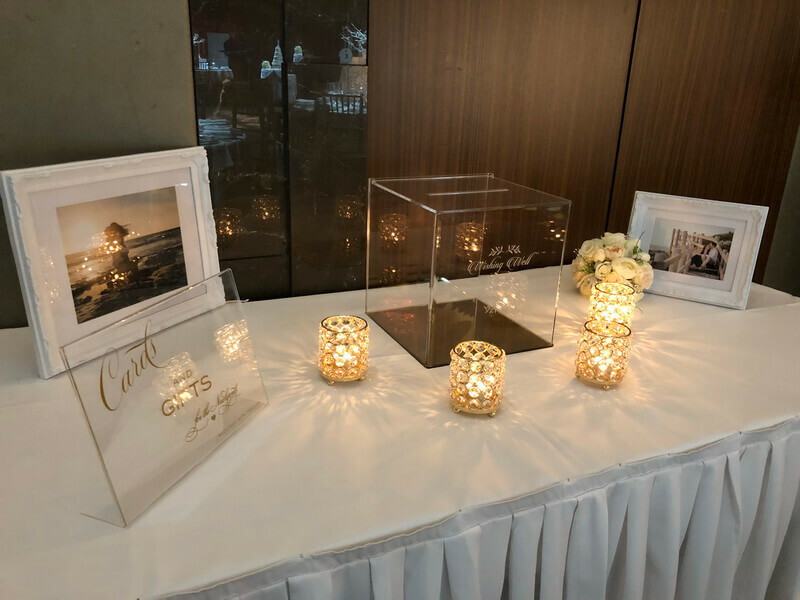 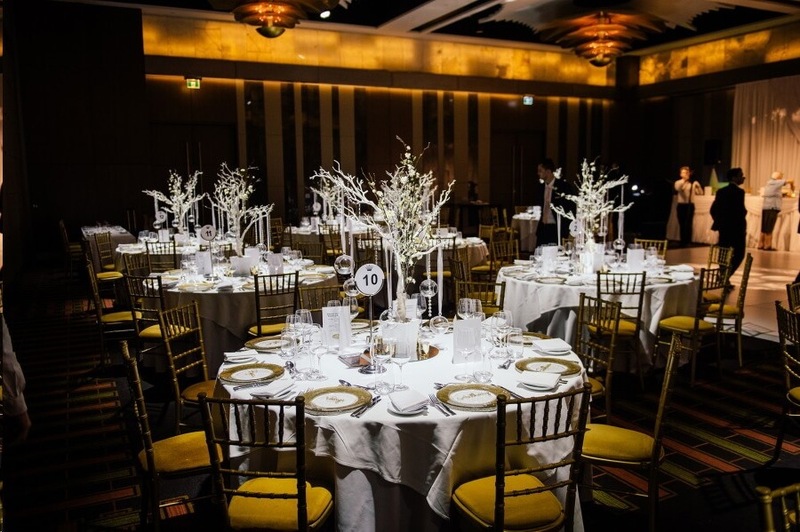 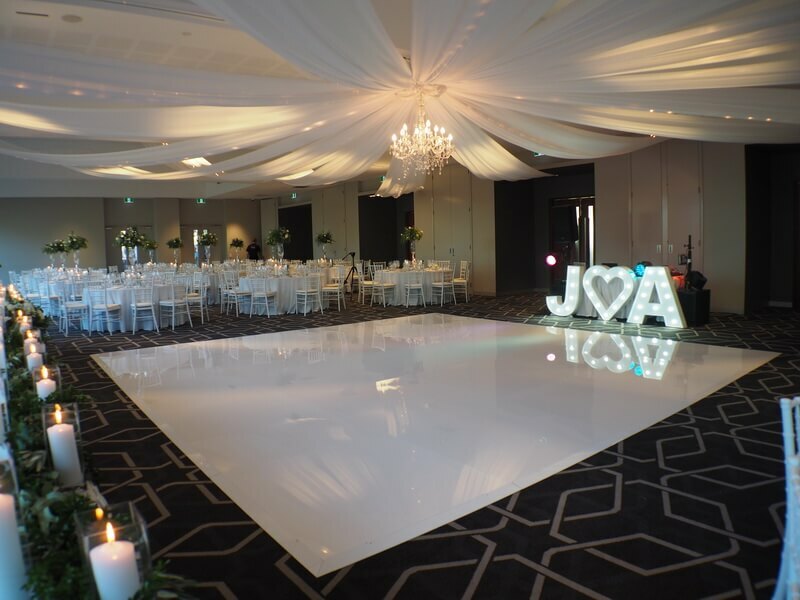 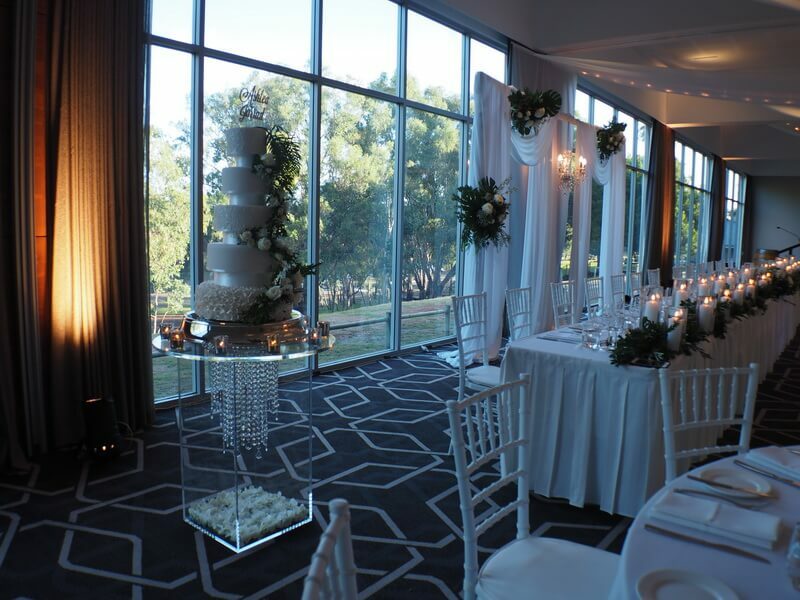 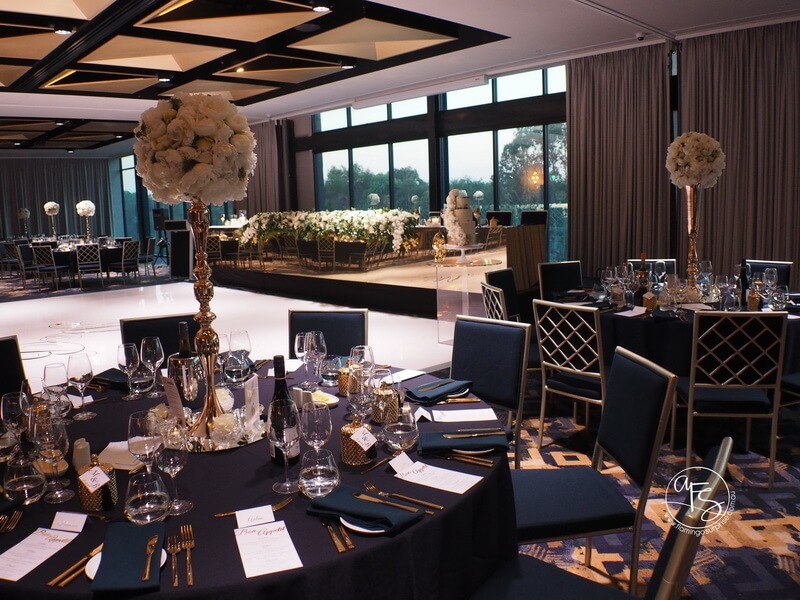 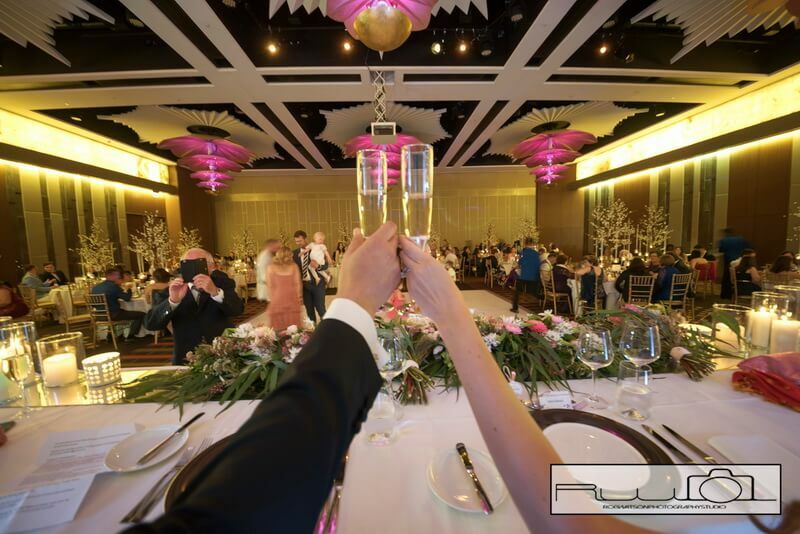 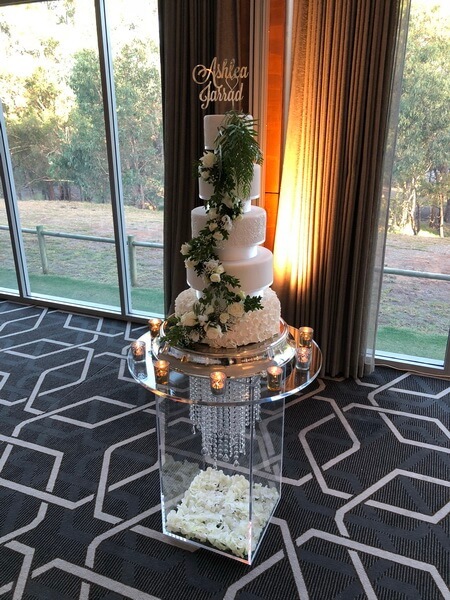 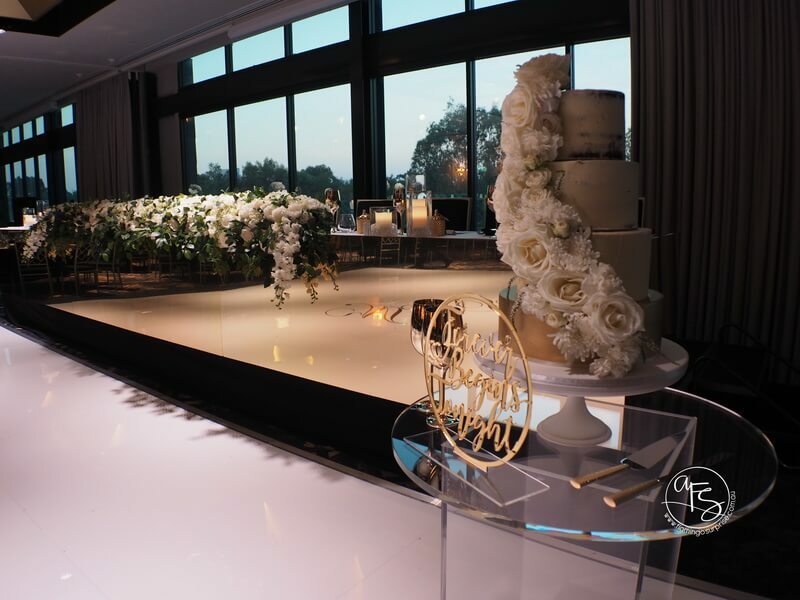 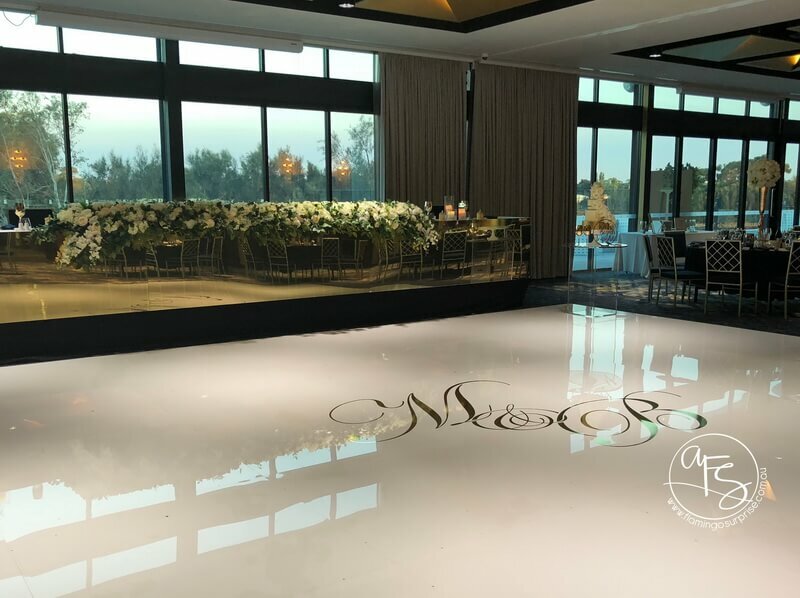 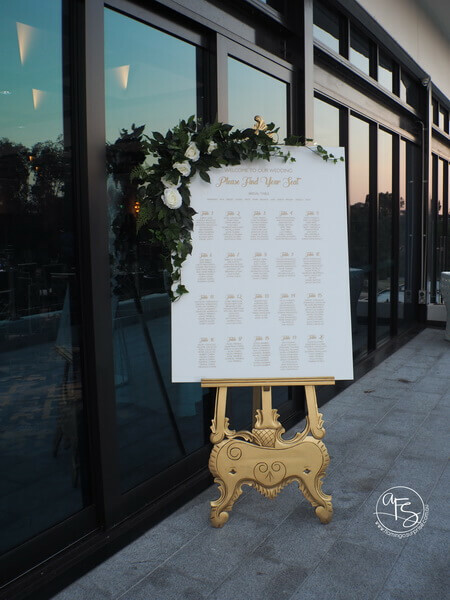 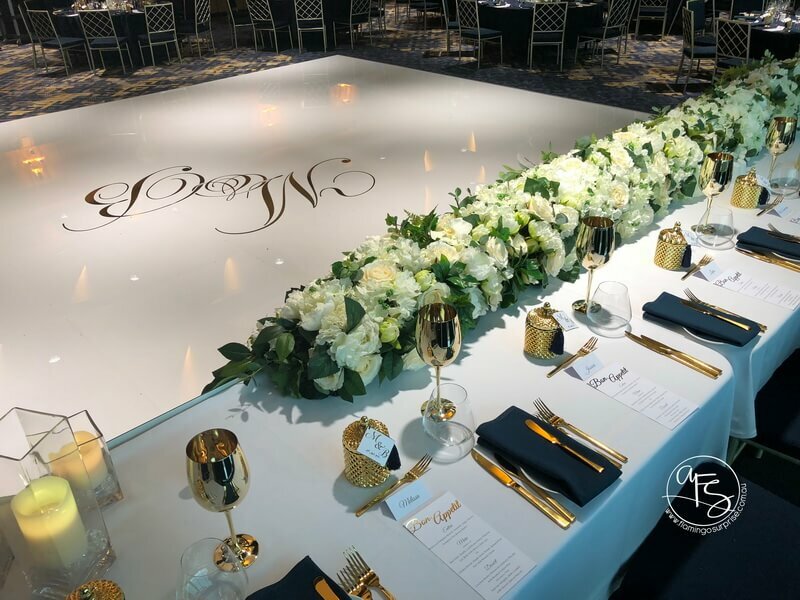 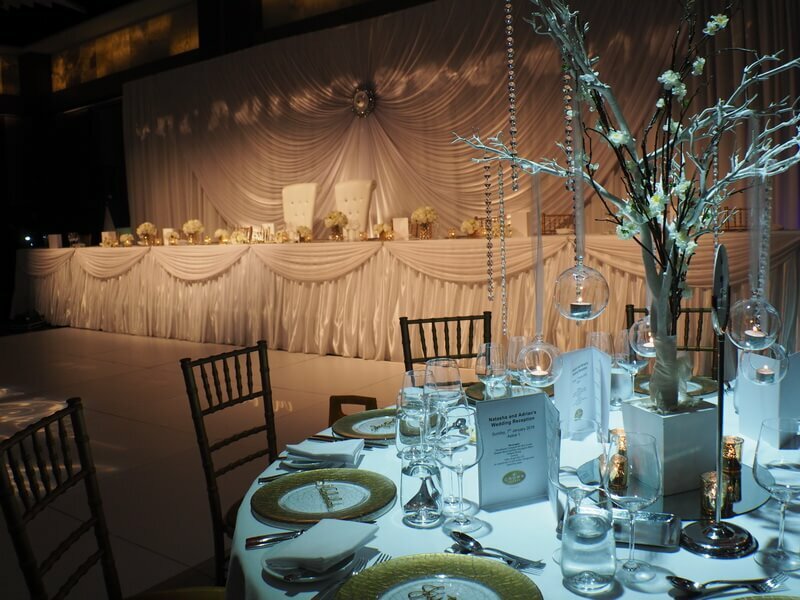 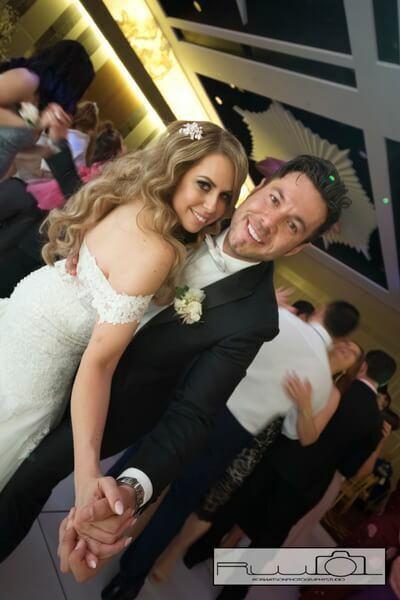 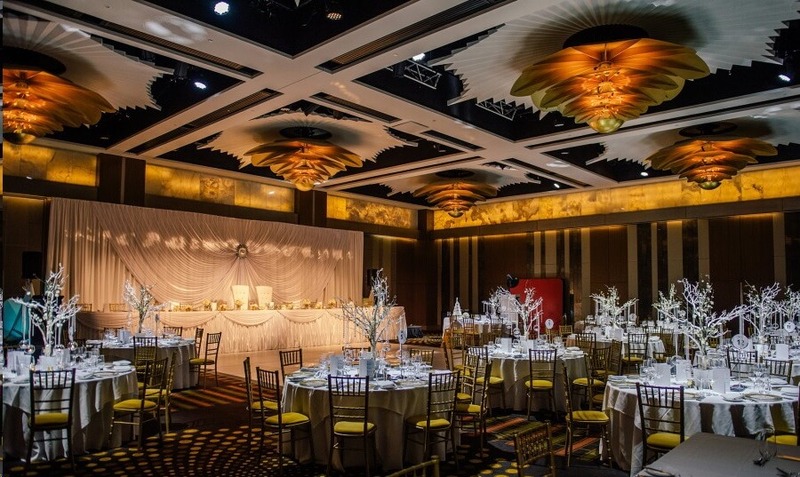 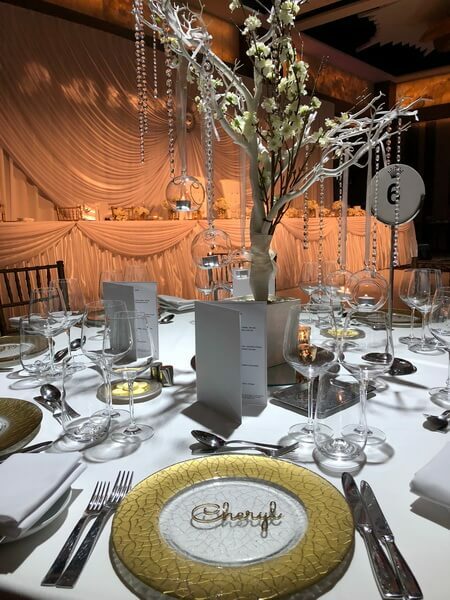 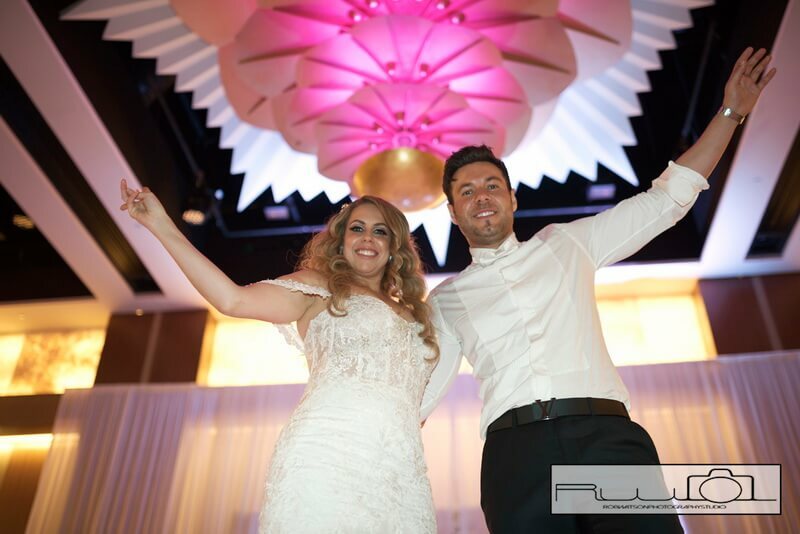 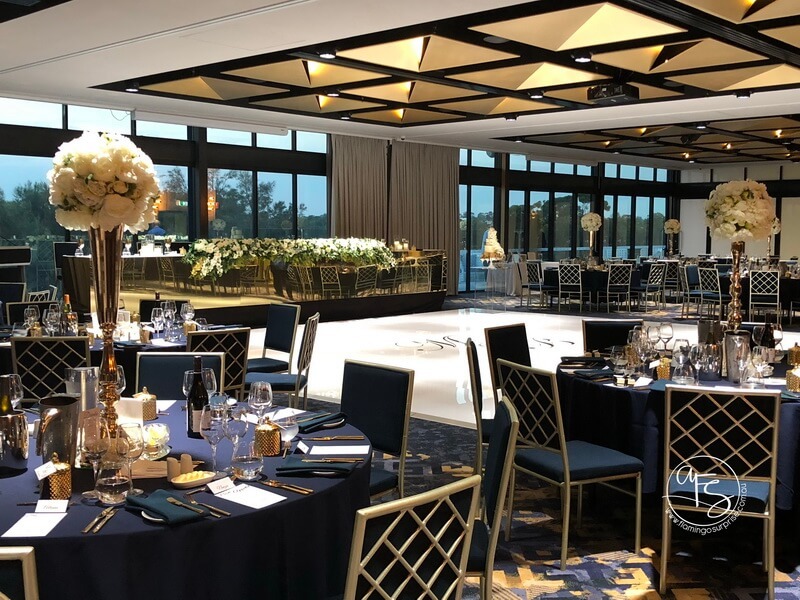 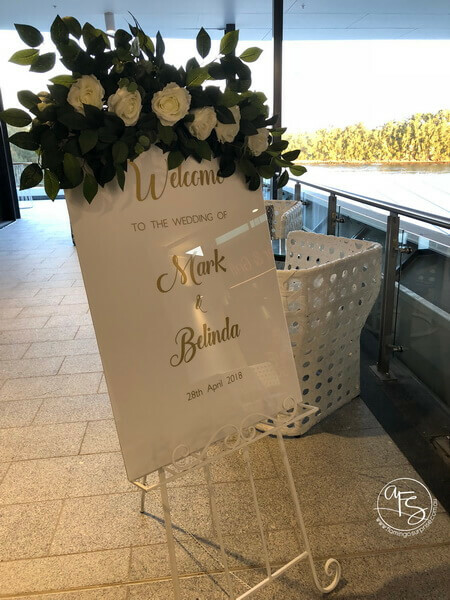 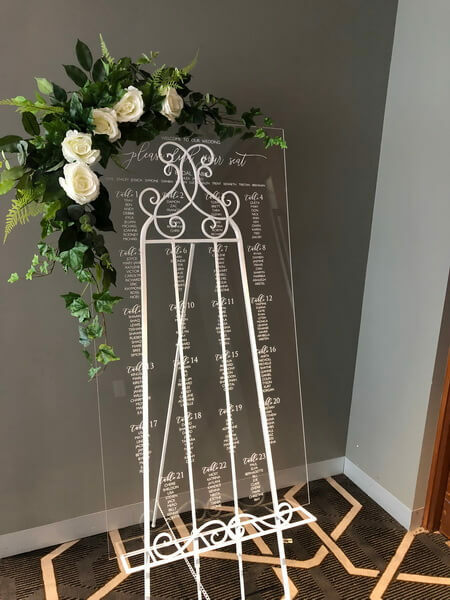 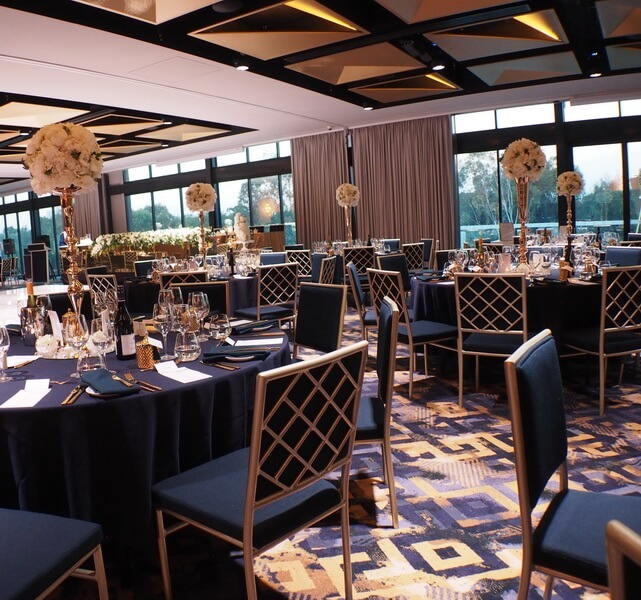 After choosing a number of popular Perth locations for photos they made their way to the Crown Towers Perth for a beautiful reception in one of the new ballrooms at the Towers. 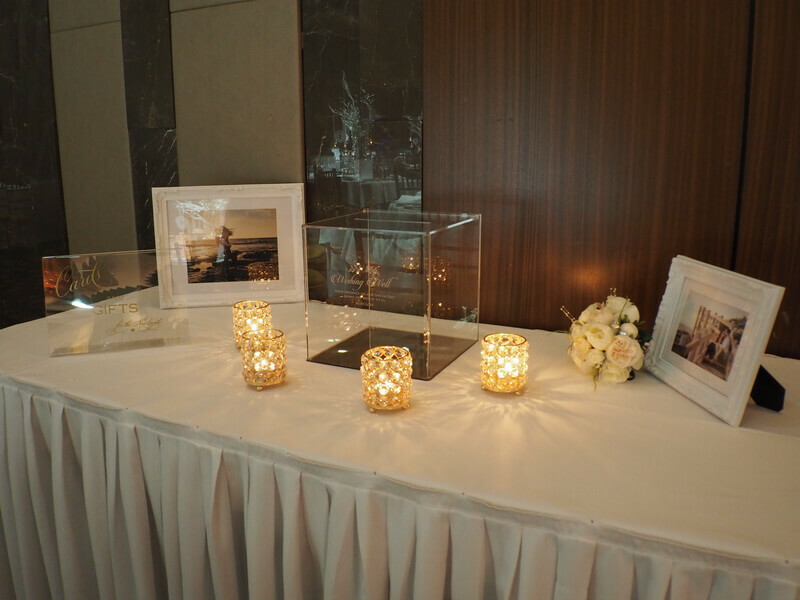 A wonderful night was celebrated with 180 family and friends. 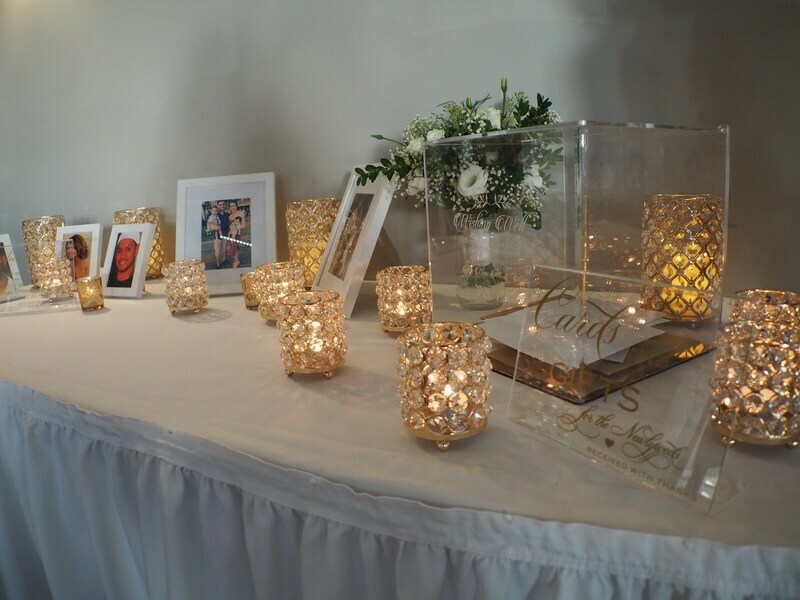 Annie & Jimmy started their day with a traditional tea ceremony held in their home in the Perth Swan Valley. 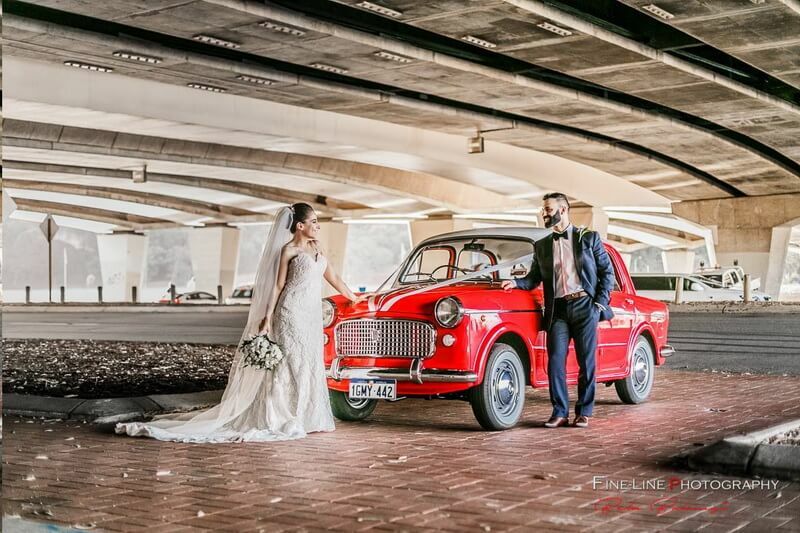 Making the most of the location they also had some amazing photos taken at various properties and estates in the area. 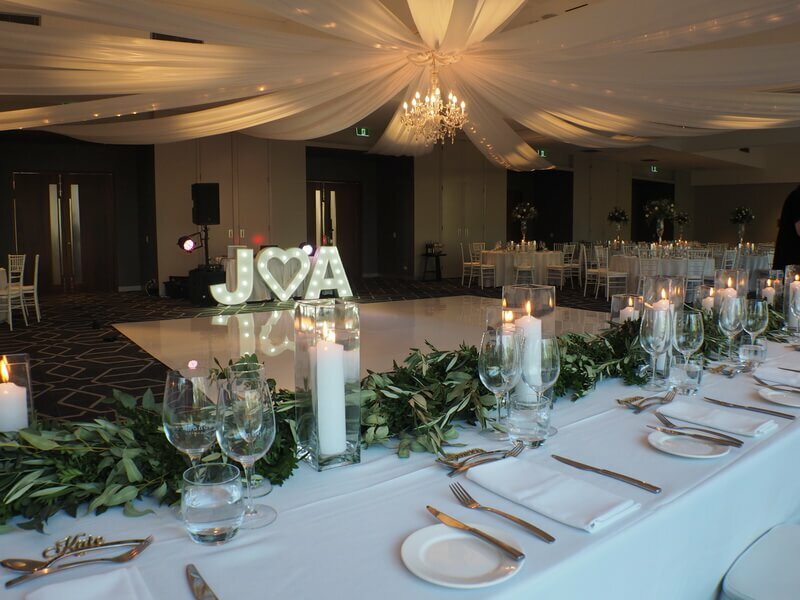 Lisa & Leevi tied the knot in a romantic roof top setting overlooking our beautiful city of Perth. 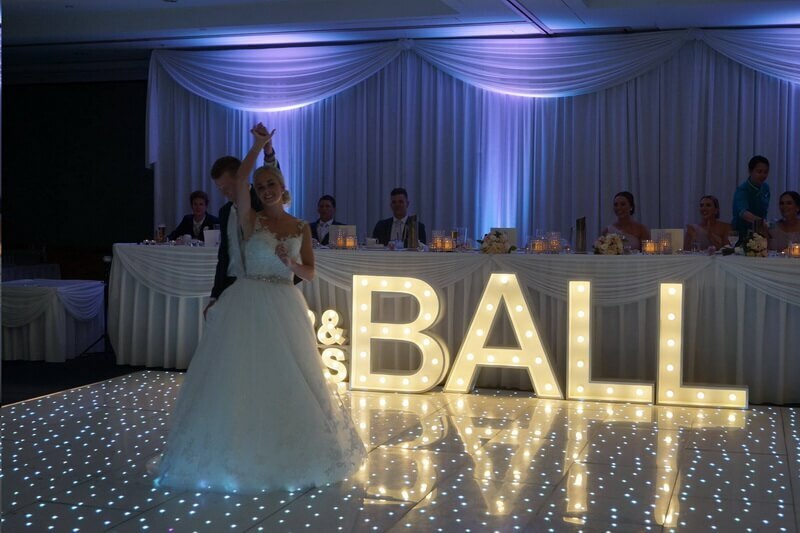 The happy couple slipped away for photos while the guests moved downstairs for drinks and nibbles. 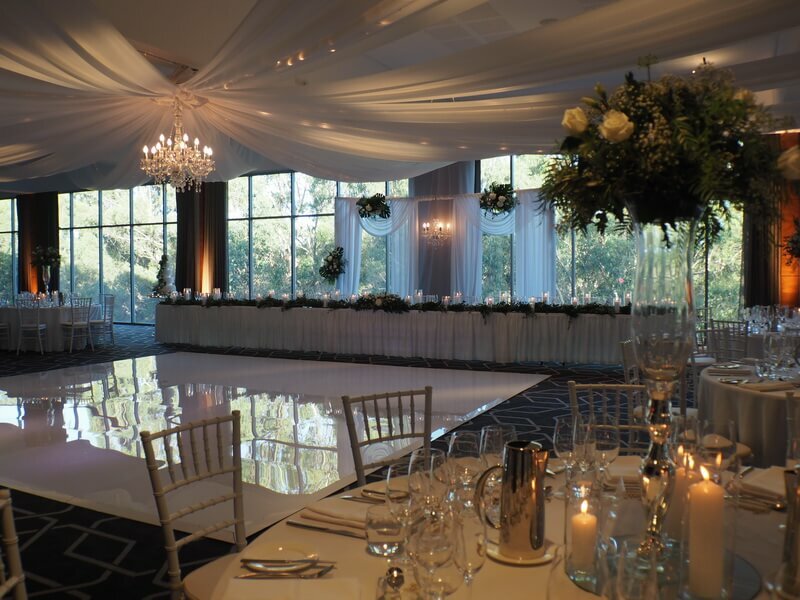 A few quick changes upstairs and the reception room was ready for everyone to continue the celebrations. 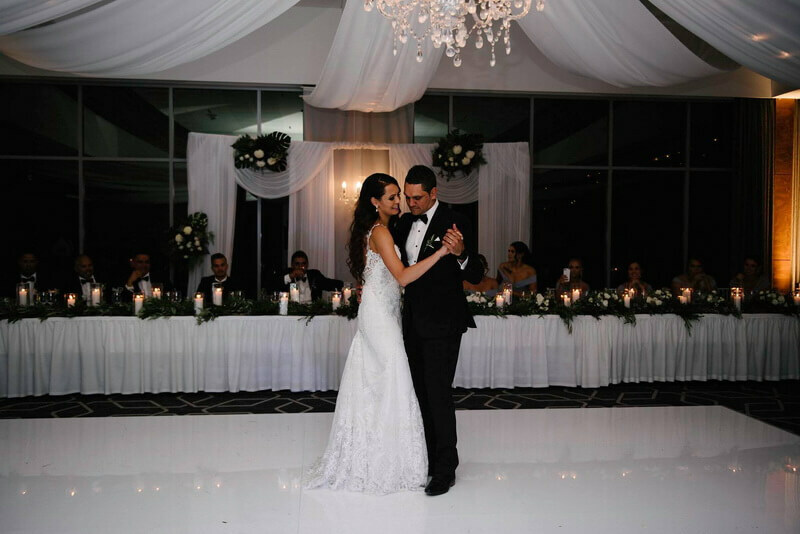 Natasha & Adrian first met when Adrian asked Natasha to dance at a party and the rest is history. 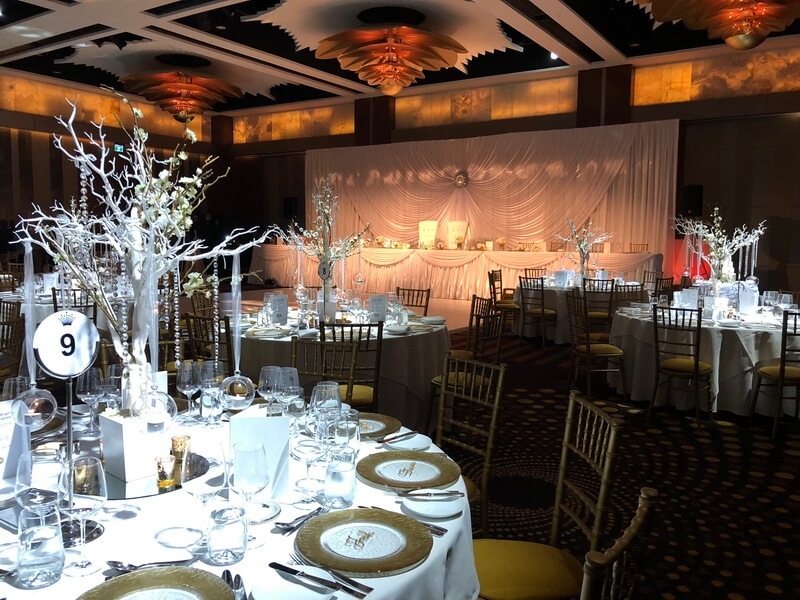 So it was little wonder when celebrating their reception in the Astral Ballroom at Crown Perth, they featured some pretty amazing dance moves. 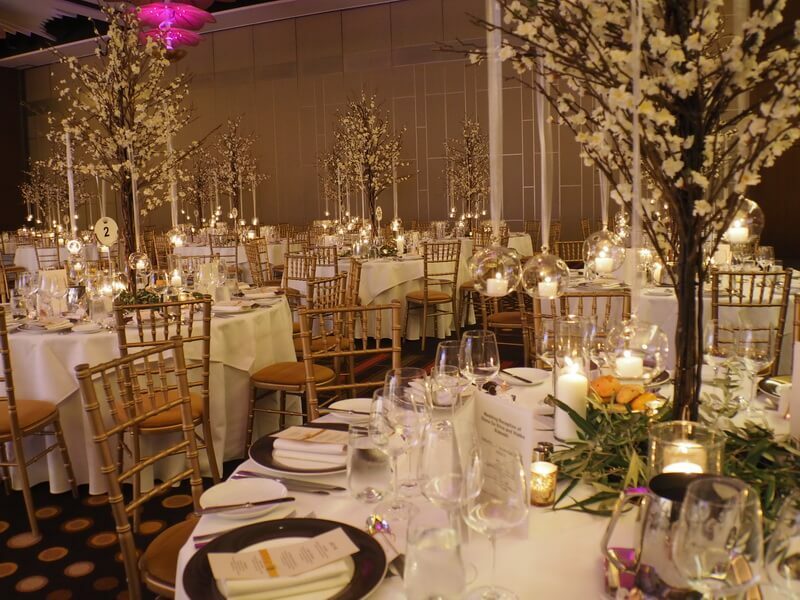 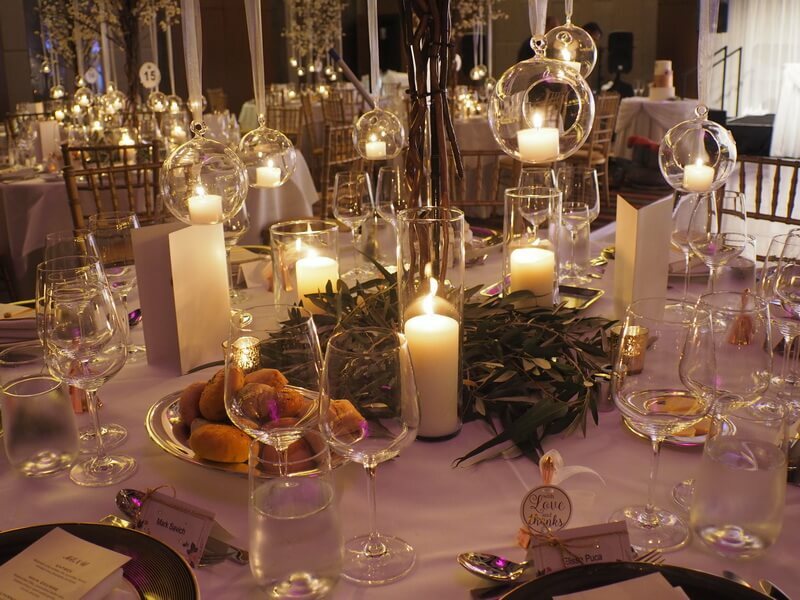 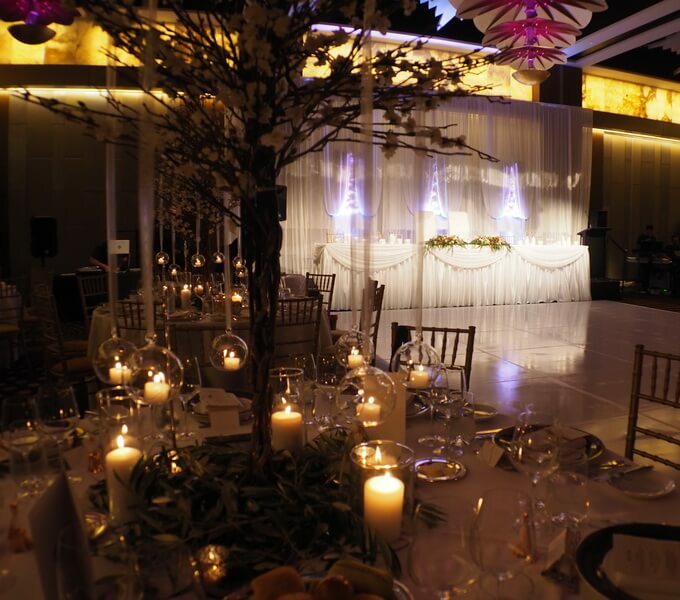 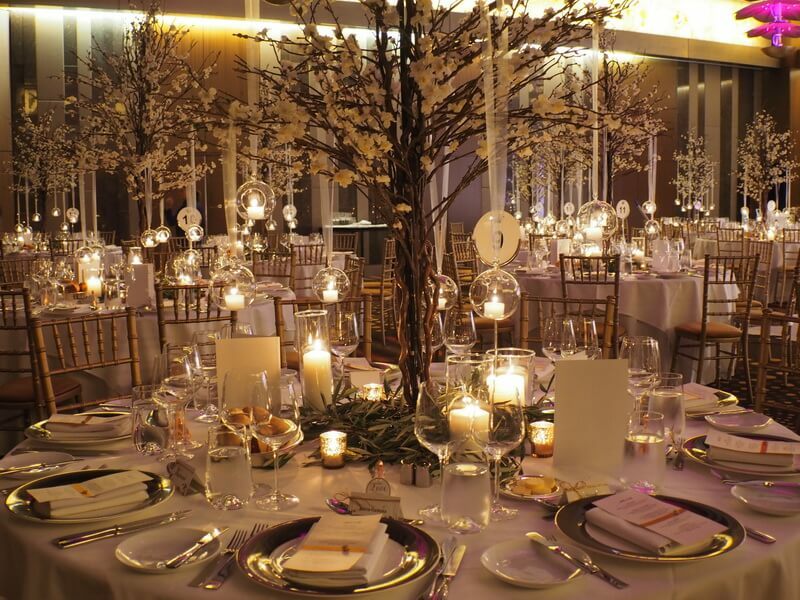 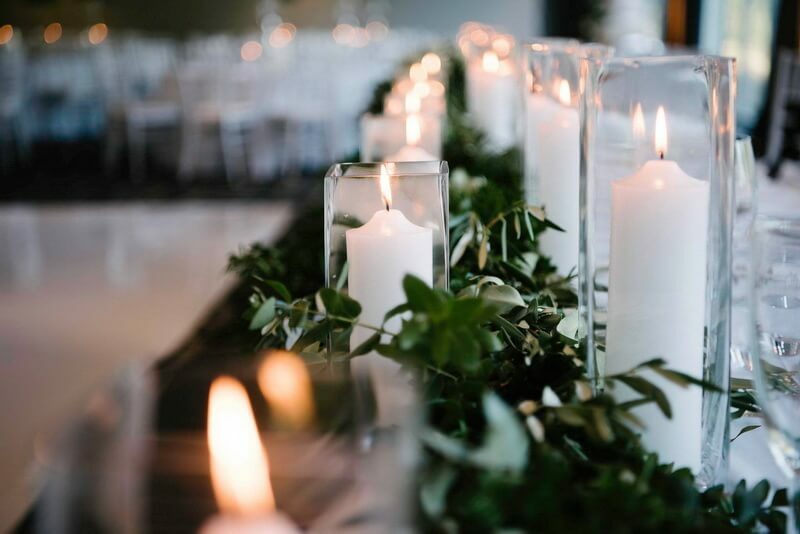 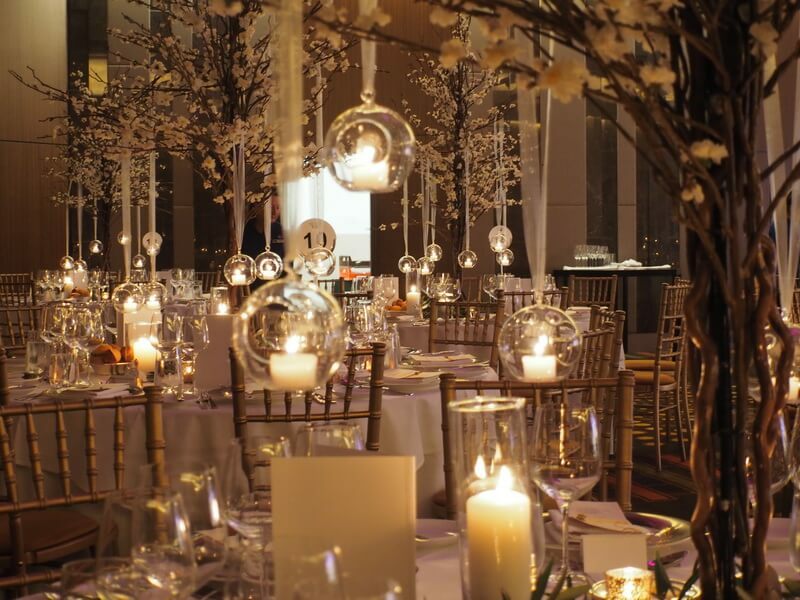 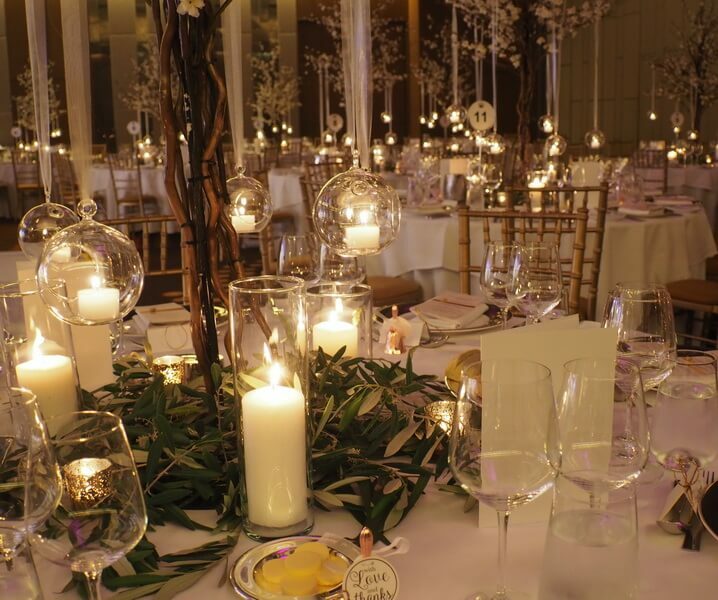 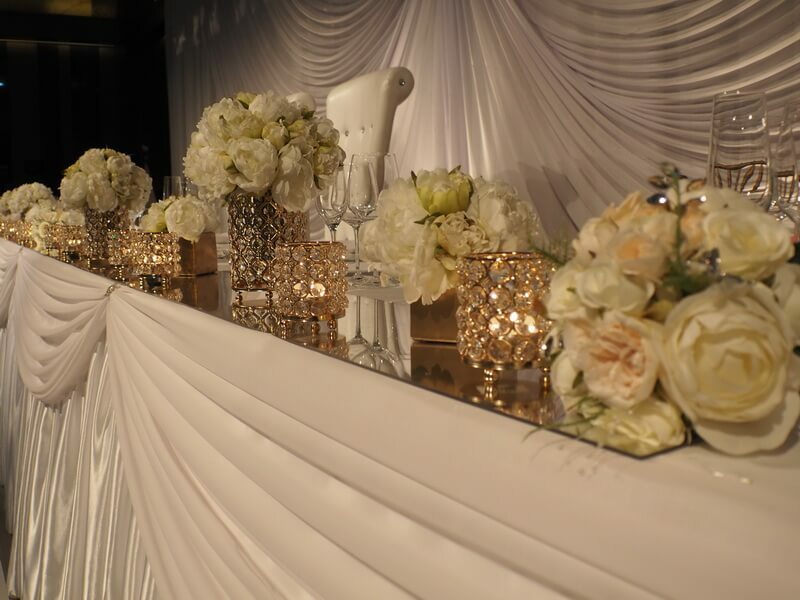 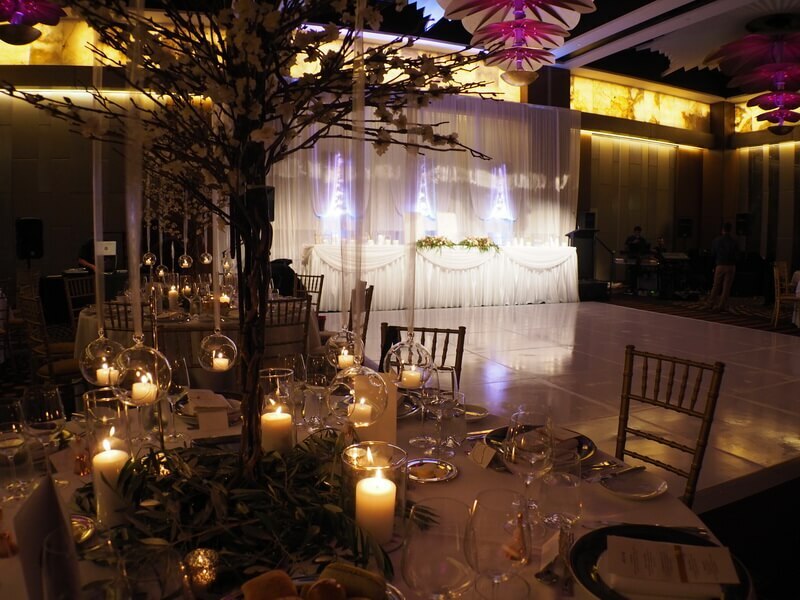 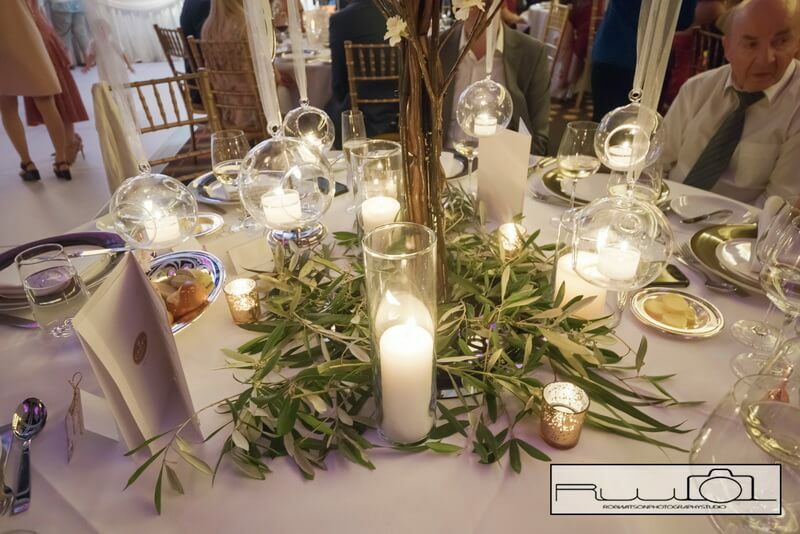 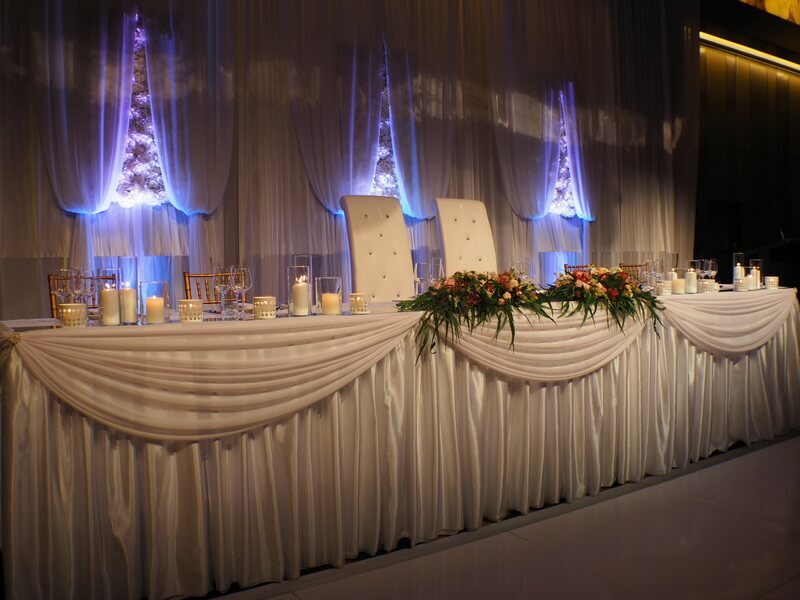 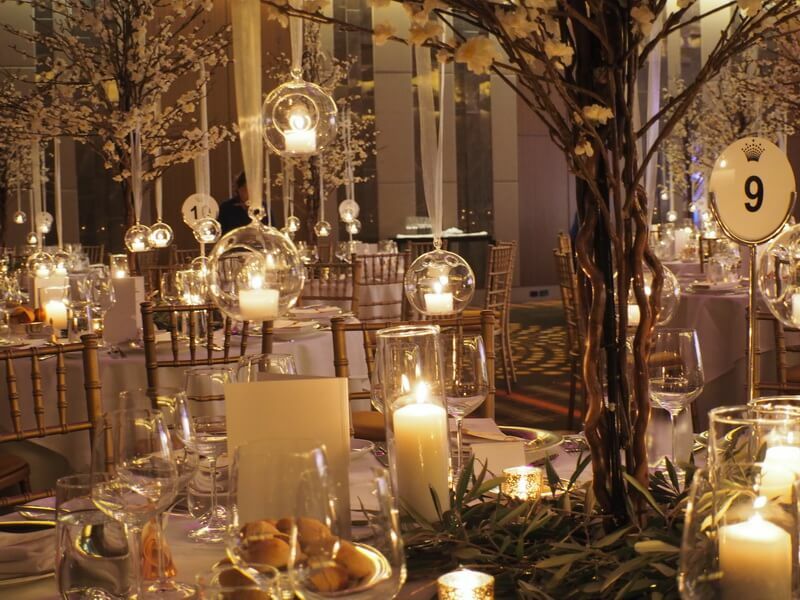 The brief for Dee & Vlad’s wedding was to create a romantic atmosphere with an emphasis on candle light. 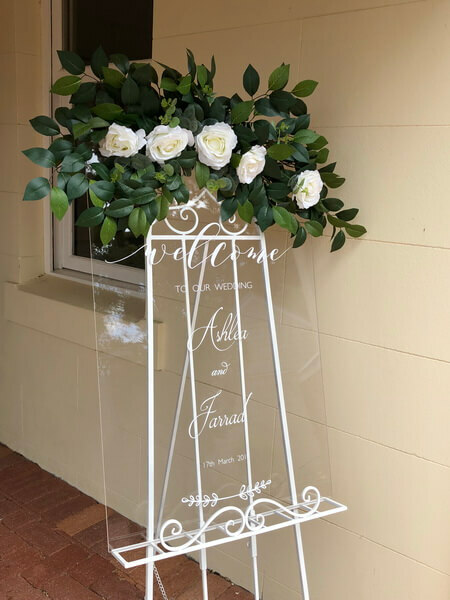 And that’s exactly what they got. 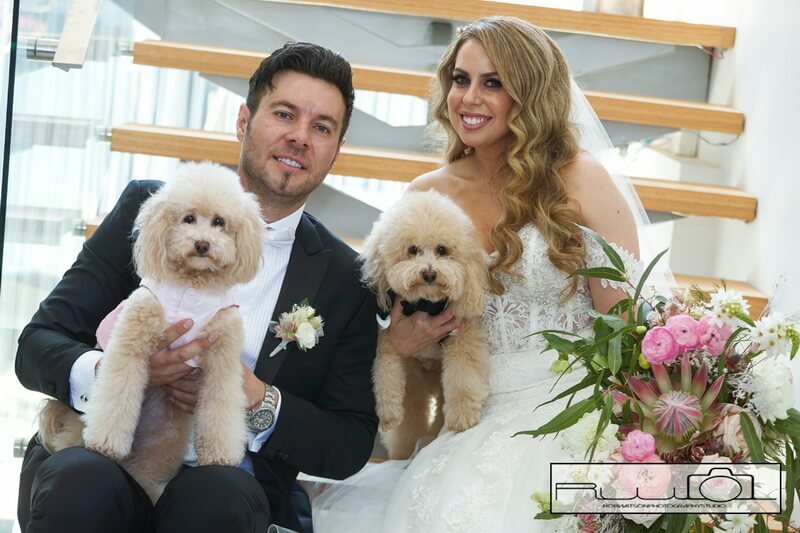 Kaila & Tyson first met when working together at their local Chicken Treat store and soon developed an unbreakable bond.